Join the discussion on our forums! Come discuss Aranasi Broodmother over in our dedicated Aranasi Broodmother discussion topic. 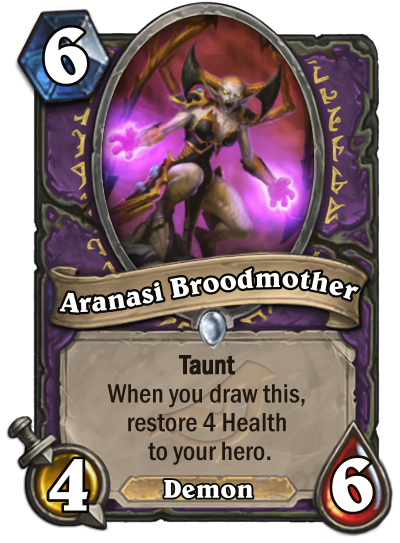 Taunt when you draw this, restore 4 health to your hero. She's got a big brood and a big mood. You can compare it with Rotten Applebaum. Looks like the same power level or close.